Our Alfa Romeo service center in Fort Wayne, IN maintains a comprehensive inventory of high quality genuine OEM parts. It’s important that your Alfa Romeo Stelvio uses authentic parts that will last. 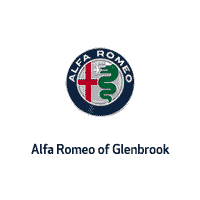 Our highly knowledgeable Alfa Romeo of Glenbrook staff is here to answer your parts inquiries. Should we not carry a part for which you’re searching, we can always order it for you and receive it within a timely manner. We look forward to serving all your needs at our luxury car dealership in Fort Wayne!